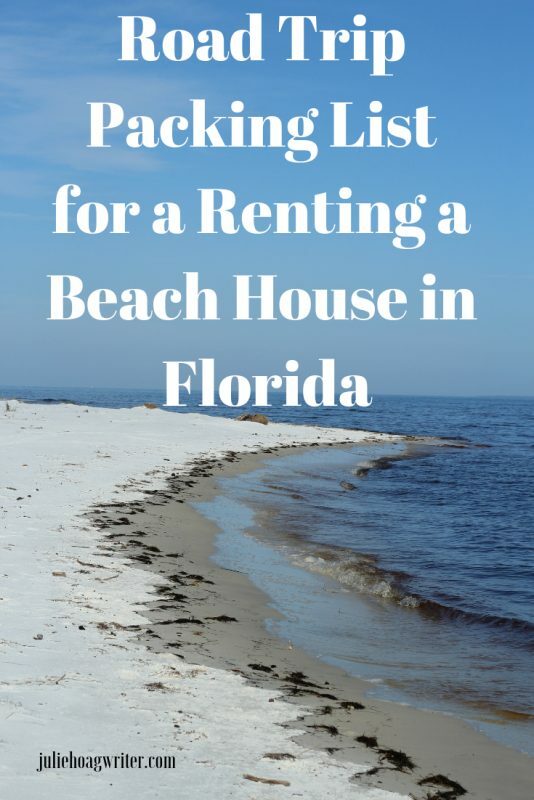 Taking a road trip to Florida (or anywhere else) and renting a beach house? 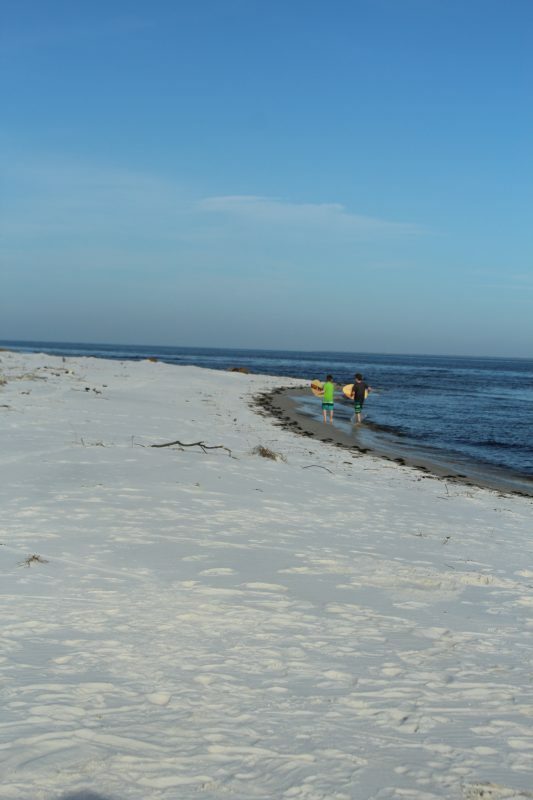 My family took a road trip to Florida recently where we rented a beach house on the panhandle of the Gulf of Mexico. 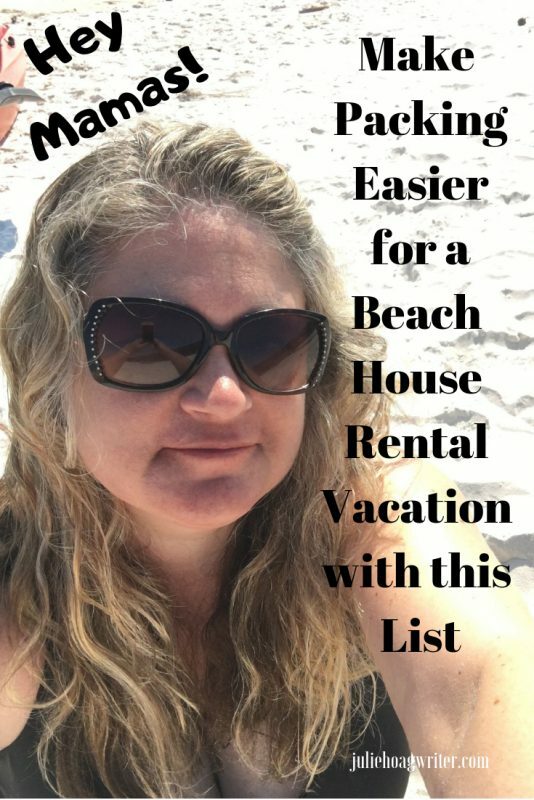 I’m sharing my Road Trip Packing List for a Beach House Rental in Florida to help other moms prepare for a similar family vacation. Every family needs different things, so take my list and modify it to fit your own family’s needs. 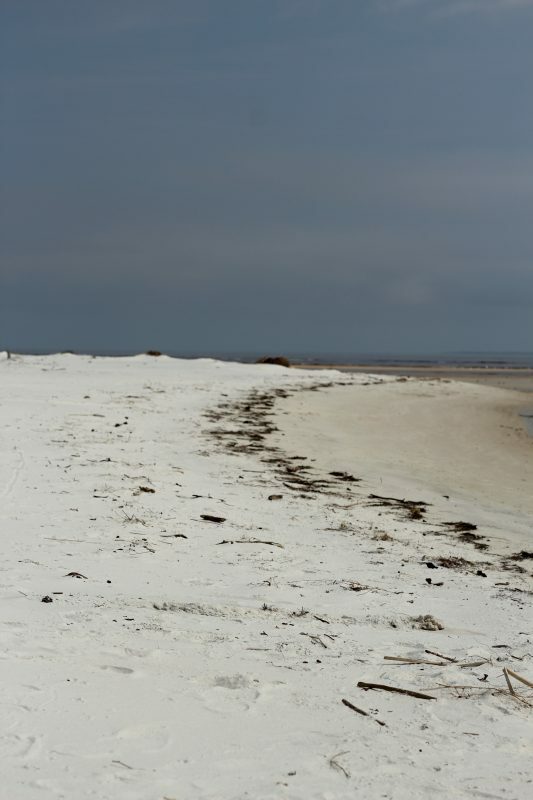 If you are renting a beach house, there are many things to remember to bring along. Read below so you don’t miss a thing when packing. I hope you find these packing hacks helpful! 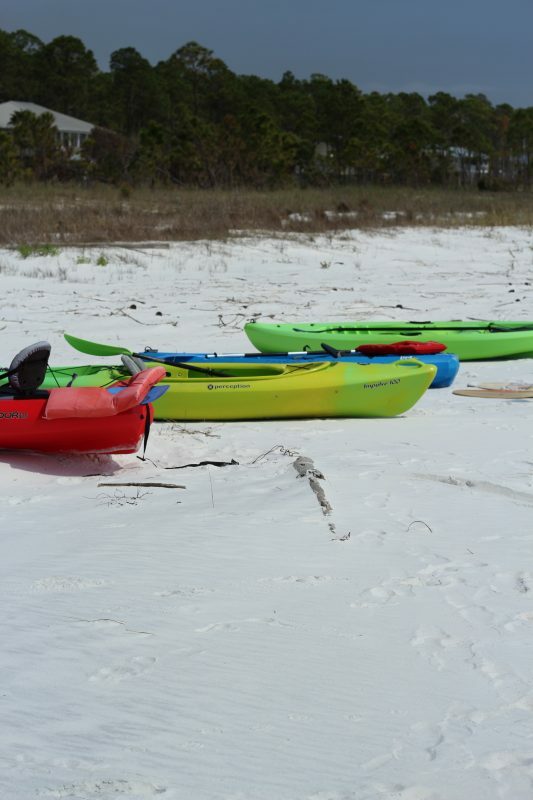 Colorful kayaks on the white sand. So gorgeous! Wherever you are renting, here is a list to help you. Having a list to work from for packing is the best mom hack for travel. We rented a Suburban to drive down to the panhandle of Florida where we rented an amazing beach house. It was right on the ocean and a pure slice of heaven. LOVED IT! We bought most of our food at a store in the town near the beach house rental, but I did pack a few items we already had at home. Here is the list of what we packed up. Remember to check the rental listing to see what supplies your rental will provide because this will help guide your packing list. Check the description and listing for your specific beach house. Here are some questions to help guide you in your thoughts. What amenities do that have? What will you need to bring along or buy based on their amenities? Do they have a dishwasher? Will you be allowed to use the washing machine and dryer? Do they provide a boat or boogie boards for usage? Do they provide fishing poles? Do you need to bring your own bags and paper products? I almost bought dish towels as they NONE at the beach house, but they had a scrubber brush so I just made it work…but really, no dish towels????? White sands! Blue skies! Blue waters! Love this contrast of color here. So. Much. Fun. 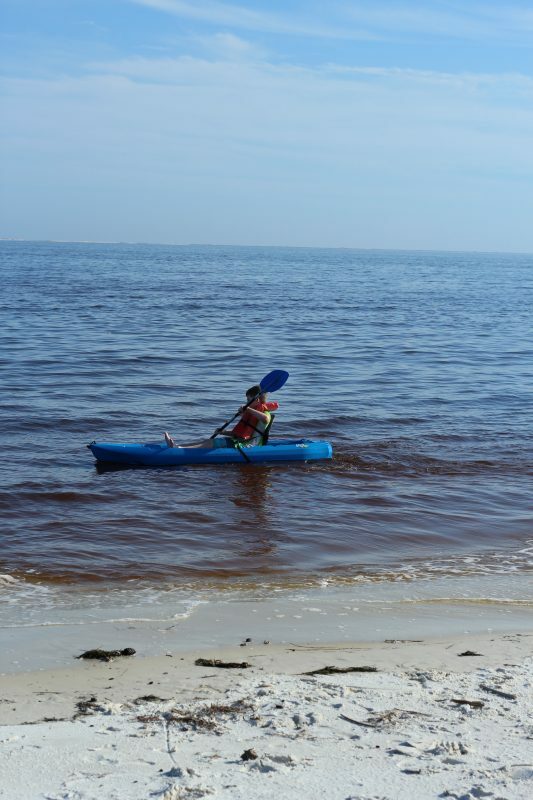 Kayaking….every day! Packing List for ON THE ROAD…ROAD TRIP!!! Kids need to be occupied during the drive. Here are some of the things we brought for entertainment and to make the long road trip more tolerable for all five of us. snacks: crackers, string cheese, chips, grapes, apples, fruit snacks, nuts, rice cakes, yogurt and Go-Gurt, Go-go Squeeze, granola bars, beef sticks…I’ve got lots of hungry males to feed! Fun times with skim boards! Kayaking in the ocean! 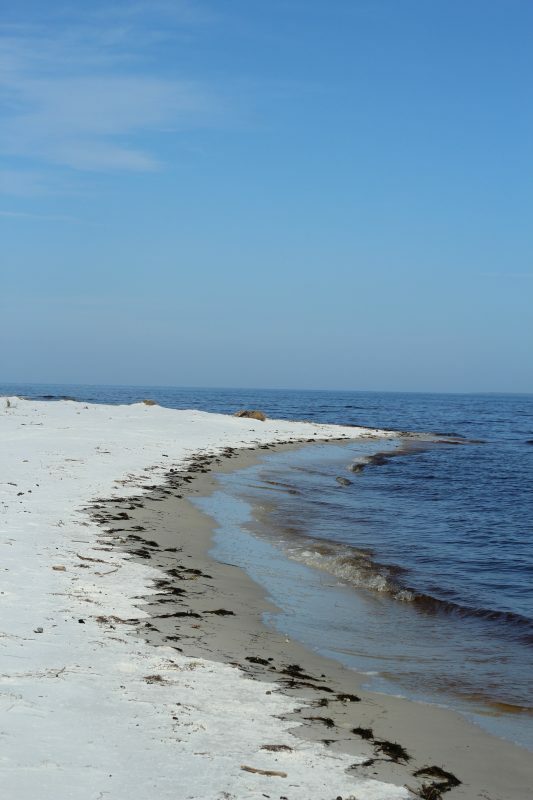 Sand bars would appear in the mornings with low tide which made walking around so much fun! The beach house we stayed at had five kayaks. These were a giant hit for my three boys. 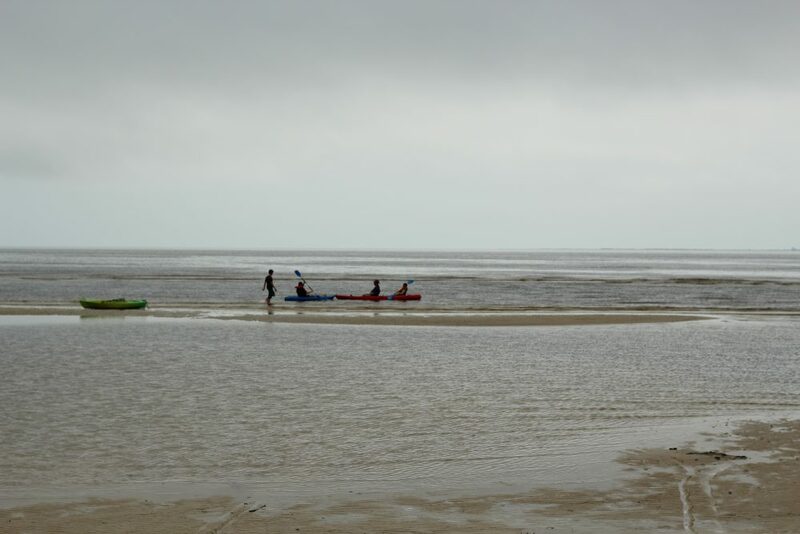 They used the kayaks every day, multiple times a day. They paddled around on them and fished from them. My husband did too. They had a blast! The boys caught fish so my husband fried up a fresh fish dinner for them one night. Again, if your beach house has any of these items below, just skip it! Leaving things at home that you don’t really need makes more room in your vehicle for what you do need. flint and steel or lighter for bonfires…we had a bonfire on the beach too, was fantastic!! 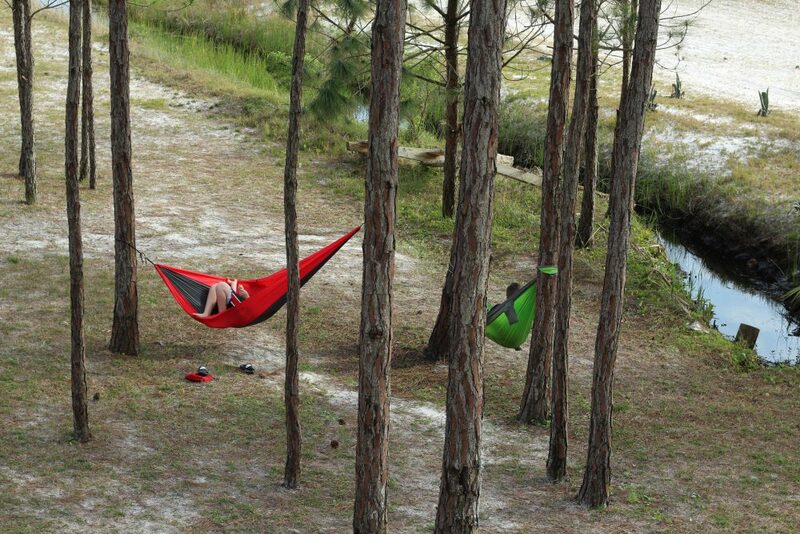 There were perfect trees for lounging in hammocks. We had bugs. There were lots of bugs around while we were in Florida. It was the month of March, so we were very happy to have bug spray along. 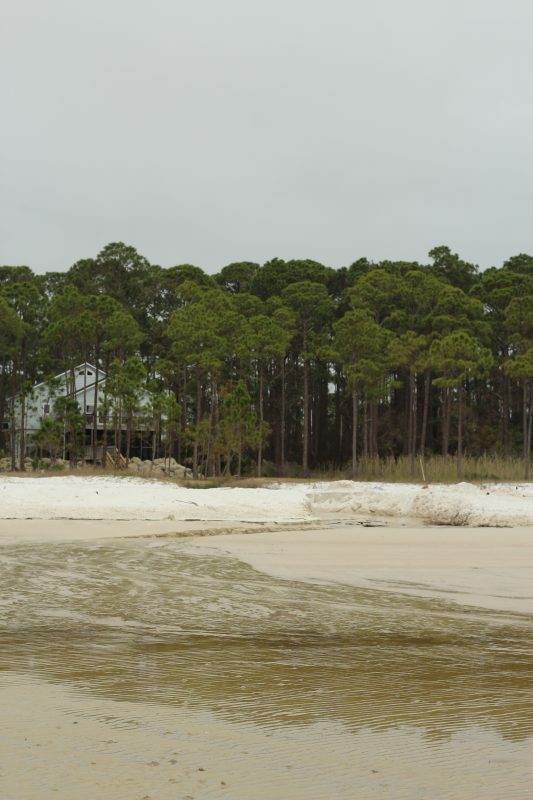 We were also plagued by sand gnats which did bite us. You will need protection from the sun, wind, and water (ie. in the form of goggles). My son got bit by something and the bite became infected, so I was super happy to have antibiotic ointment along from the first aid kit. I was here! 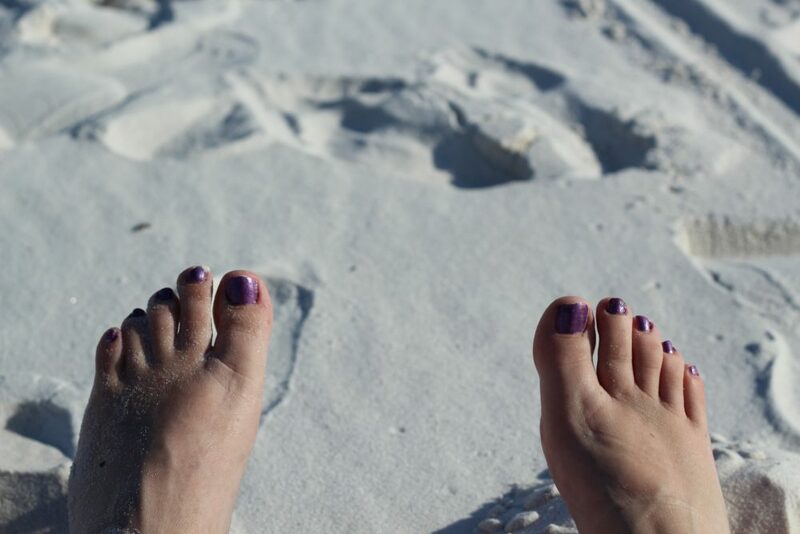 My toes in the sand, heavenly! 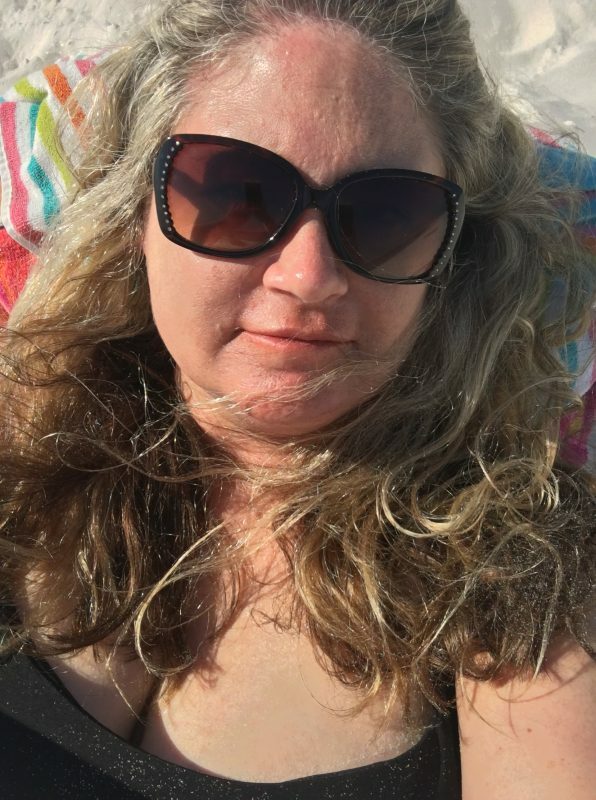 Me: I’m on the beach selfie!! Electronics are a must these days. We all have them. I used my laptop a lot on the trip. My boys used their phones and Chromebooks too, especially on the long drive of the road trip. cell phones, make sure you have these! purse and wallet, make sure you don’t leave without these for sure! This is a list of the usual standard stuff needed for going on a vacation. 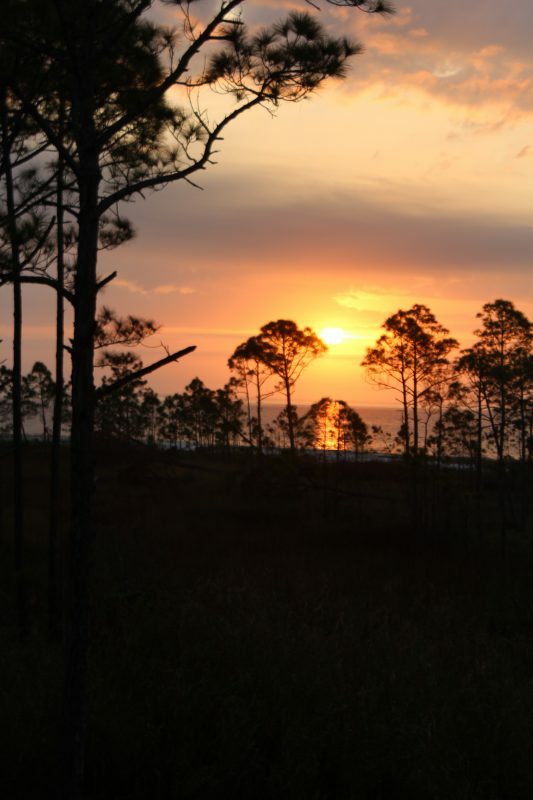 A breathtaking sunrise on the Gulf of Mexico, Carrabelle. I wanted to keep it simple, so I chose easy meals. We also did lots of grilling. Having a full kitchen available in the beach house was awesome because we didn’t have to eat out every meal, though we did go out to eat a few times to local places that sold seafood and for pizza. Though I love to cook, and cook gourmet, I wanted easy meal prep meals so when we were ready to eat it was easy and not time-consuming. It was so lovely! This is the one for the beach house, it is now on my birthday list🙂 Yummy! 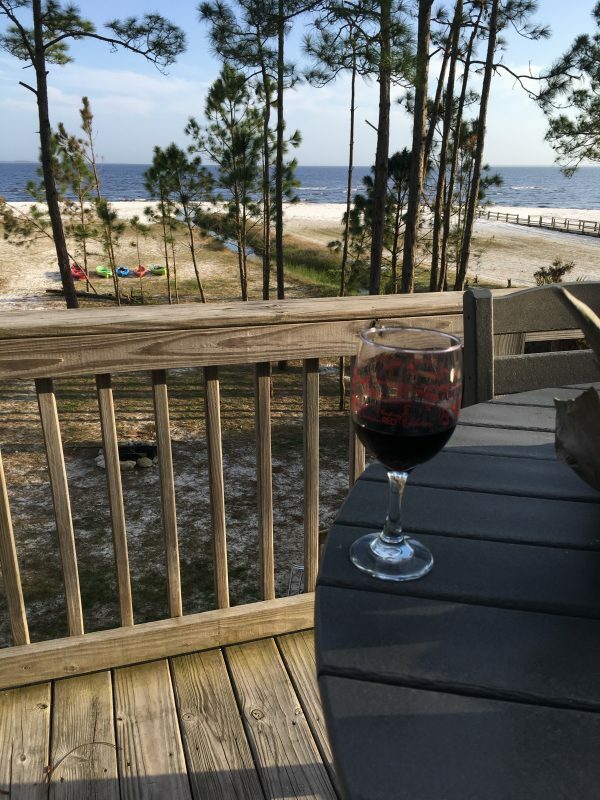 My husband and I loved enjoying beverages on the beach, on the deck overlooking the beach, and at bonfires. We loved renting a beach house. It was a very enjoyable vacation, and very relaxing. I loved having a kitchen so we could enjoy meals at the beach house. Having separate rooms for kids was also a huge plus in renting, especially with teens who want some alone time and space. The beach house we rented had two bathrooms and this was perfect for our family of five. Ten Things Not to Pack for a Family Trip to an All-Inclusive Resort. Have fun! Eat well and enjoy life! Copyright © 2019 Julie Hoag writer. All Rights Reserved. Oh, how fun!! I can’t wait to take a trip back out of Florida. I love being at the beach. Me too! I can’t wait to go back again also! I could live there! What a comprehensive list–you though to everything for a fun beach stay. Thank you! I hope people find this list helpful for vacation planning! This is such a great help in prepping for a trip. Thank you for the helpful suggestions. Thanks! I hope you found it helpful! Gorgeous photos! We make the drive from Cincinnati down to Florida every other year and there is SO much stuff to bring plus we do a Costco or Walmart trip when we get there. We are go down in June so I should use your lists to start making mine!